Now that I'm done with graduate school and in between opportunities, I have quite some time on my hands. With this free time, I've started to tackle some projects that have been on the back burner. One of them is creating dessert recipes for 1 or 2 servings. As those of you who also bake, know that baking is like chemistry, if you get a step or ingredient wrong, it is a disaster. With this known fact, it is very difficult to make cakes or cookies in small quantities. I wanted to start with something simple, so simple that there is no baking involved. in a food processor, process pecans and graham crackers until a fine powder, set aside. melt the butter in a pan over medium heat, mix in the pecan and graham crackers until well incorporated and crumbs start to form. remove from heat. press the crumbs into two 4.5" spring form pans lined with parchment paper on the bottom. set pans aside. 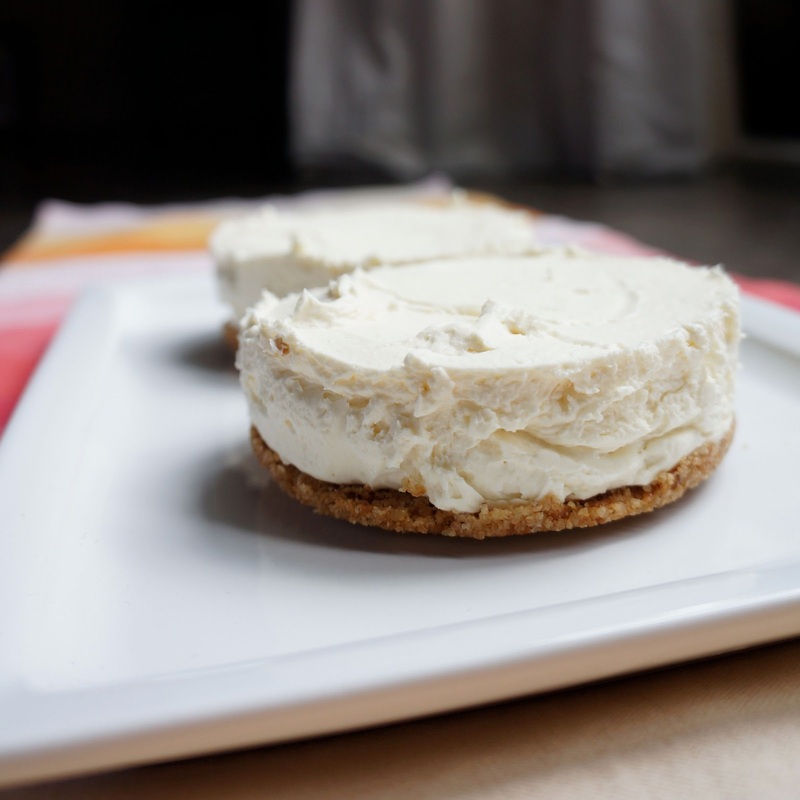 with a hand mixer, blend cream cheese and sugar together. then add in cream, vanilla and lemon juice. blend until well incorporated. divide mixture into the two pans. place in refrigerator for 4 hours or overnight. to serve, carefully remove the pan sides. you may serve it with a fruit compote or chocolate sauce or eat it simply by itself. If you're looking for desserts for two, you should check out this website: http://www.dessertfortwo.com/ I haven't made anything from there before but I've heard the desserts are pretty good.